Please visit our online Sales & Marketing store, Social Media & Marketing Masterclass, Sales Training Wales or Sales Training Cardiff pages on Eventbrite or call: 07517 024979 (or email: maconsultancy1@gmail.com) with your requirements. All of our off the shelf Sales & Marketing Training Courses are £200 for 3 hours or £500 for a full day. Our tailored training courses can be any amount of time for a price to be agreed. We can train individuals one on one or in groups of people up to 100. The training can be interactive, with the use of laptops and smart phones etc. or can be presentation style with the use of PowerPoint and questions and answers, or a mixture of both. 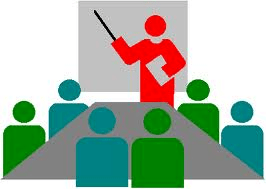 We train all level of users or individuals and can adapt our training to the audience so can deliver strategy training to board members, management and business owners, and can provide basic setup, basic usage, beginner, standard or advanced versions of our courses for different staff members, business owners or users, depending on the existing levels they are at. If you are looking for Social Media Training then please take a look at the various courses available on our Eventbrite page by following the link. Social Media Marketing Training, SEO Training, Blogging Training, Content Marketing Training, WordPress Training, Sales Training, Exhibition Preperation Training & Web Marketing Training for UK and Welsh businesses from Cardiff, Newport, Chepstow, Monmouth, Swansea, Caerphilly, South Wales & Wales Locations or Hertford, Central London, Bristol, Cheltenham, Swindon, Gloucester or South West England office Locations (or at a UK office location of your choice for team training UK wide). 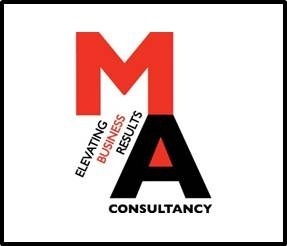 MA Consultancy provide Sales & Marketing Traning, SEO Training & Social Media Marketing Training on many different Social Media, Web Marketing, Social Media Marketing & Internet Marketing platforms including Twitter Training, LinkedIn Training, Facebook Training, Pinterest Training, SEO Training, Blogging Training, WordPress Training, Google+ Training, Blogger Training, Content Marketing Training and Website CMS Training. We also provide Sales Training, Telesales Training, Fieldsales Training, Solution Selling / Account Management Training, Networking Training and Exhibition Preperation Training. So if you are interested in Sales & Marketing Training in Cardiff, Wales or UK, Social Media Training in Cardiff, Wales or UK or SEO Training in Cardiff, Wales or UK or any of the above Business training in Chepstow, Newport, Caerphilly, Vale of Glamorgan, RCT, NPT, Monmouth, The Valleys, Swansea, Wales, South Wales, Bristol, Cheltenham, Gloucester, Swindon or anywhere else in Wales or England (or the rest of the UK) please book a Course online or get in touch on – Email: MAConsultancy1@gmail.com or Tel: 07969 286126 . If you require more info about the Sales & Marketing Training, SEO Training & Social Media Marketing Training courses or other Business Training courses that I can provide or tailor to your needs please get in touch! A 3 hour Social Media Training Course in Cardiff, South Wales (or at you UK Office Location). A 3 hour LinkedIn Training Course in Cardiff, South Wales. My LinkedIn courses is focused on Networking, increasing your connections and your profile.